Swatch’s slogan sounded weirdly familiar. While “Think different” is a phrase synonymous with Apple, Swatch’s lawyers argued that it was not sufficiently well known in Switzerland to warrant being legally protected. The country’s Federal Administrative Court agreed with them. Apple sued Swatch over the trademark back in 2017. Swatch began using the slogan in 2015, just ahead of the launch of the Apple Watch. It was used to advertise Swatch’s Bellamy timepieces, which boasted built-in NFC connectivity for carrying out mobile payments. This wasn’t the first time Swatch seemingly took shots at Apple with a trademark filing, either. In 2015, shortly after the Apple Watch debuted, Swatch filed a trademark for “One more thing.” This phrase was memorably used by Steve Jobs at the end of Apple keynotes before he unveiled a big surprise. “Think different” is a slogan that Apple used for around five years, between 1997 and 2002. It was developed by advertising agency TBWAChiatDay, with the goal of establishing Apple’s cool outsider status. It was the campaign which gave fans the iconic “Crazy Ones” ad, seen below. While it may seem obvious that “Tick different” was an Apple ripoff, things aren’t quite that simple. 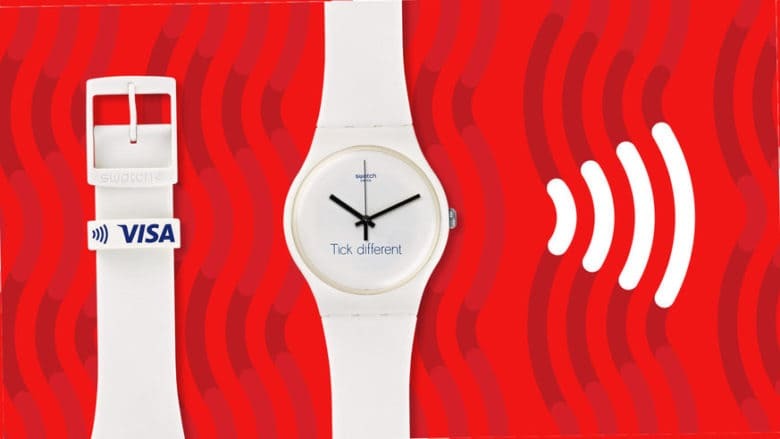 Swatch argued that the slogan was inspired by the “Always different, always new” slogan the watchmaker used in the 1980s. “Think Different” was also an Apple riff on “Think,” a motto used for years by Apple rival IBM.